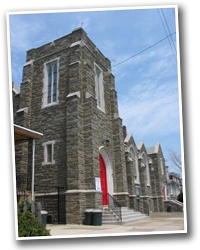 Wyoming Avenue Baptist Church has reorganized under Grace Church of Philly and is now called Grace Church of Feltonville. We are now meting in the same location every Sunday at 10:00 AM. For more information, contact Pastor John at (917) 981-4249, or visit Grace Church's website.